We are going to start a new and very interesting section and that is 'VEDIC MATH'. Many of us are interested in increasing our productivity with calculations. This is where ‘Vedic Math’ helps us. It teaches us many ways to do the calculations quickly and if practiced correctly then all the calculations can be done in mind. Hence it helps us not only in our work, but routine works also. Vedic Math is also very useful for students to get rid of math phobia and improve grades. 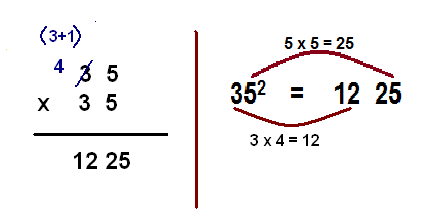 With these techniques one could be able to solve the mathematical problems 15 times faster. It improves mental calculations, concentration and confidence. Isn’t this great! Once you are aware of the basics of Vedic Math, you can practice and make yourself a human calculator. Vedic Mathematics is magical. 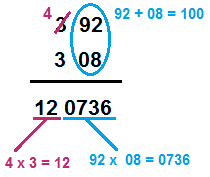 Let us take a simple example of multiplication to feel what Vedic Math is and what it can do. So, let’s try 14 times 11. 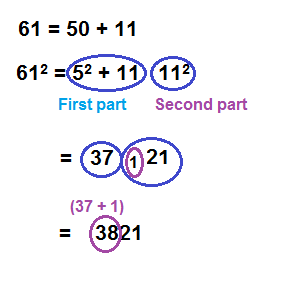 This is a very basic example to show the magical power of Vedic Math. Once you learned all the techniques, you will be able to do various complex calculations very fast as mentioned above. Before we proceed towards the different techniques of Vedic mathematics in detail, we first give you brief background of Vedic Mathematics history. 'Vedic Mathematics' is the name given to the ancient system of mathematics derived from ancient treasure of knowledge called ‘Veda’. ‘Veda’ means knowledge. Vedic Mathematics believes to be a part of ‘Atharva Veda’. It a unique technique of calculations based on simple rules and principles, using which any mathematical problem related to arithmetic, algebra, geometry or trigonometry can be solved quickly and possibly orally (once you master it). Vedic Mathematics was devised probably thousands of years back; however it was rediscovered again from the Vedas between 1911 and 1918 by Sri Bharati Krsna Tirthaji (1884-1960). According to his research all of mathematics is based on sixteen Sutras or word-formulae. For example, 'Vertically and Crosswise` is one of these Sutras. These formulae describe the way the mind naturally works and are therefore a great help in solving the problems.